When were they written and by whom? Are they true? Why are they important to know about? What are some of the most essential teachings from these works? How might I usefully incorporate this into my practice, my teaching, my life? The Epics also gave me a lot more understanding and faith in what I was doing. What was I doing? Well, for one thing, my friend had me chanting this long Hindi poem called the Hanuman Chalisa (“Forty Verses in Praise of Hanuman”), the so-called “monkey god.” I loved singing these verses, and yet there was a part of me (was it that part who had just been living as an Orthodox Jew for the 3 years previously?) that didn’t exactly feel comfortable chanting about the greatness of a monkey, however godlike or amazing he was, let alone bow down to my teacher who the supposed incarnation of this monkey(!) 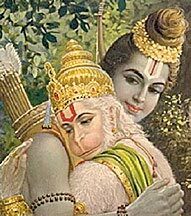 Then I read the Ramayana and I felt that much better about Hanuman because I saw how he really is an embodiment or symbol of Bhakti, of pure love and devotion. 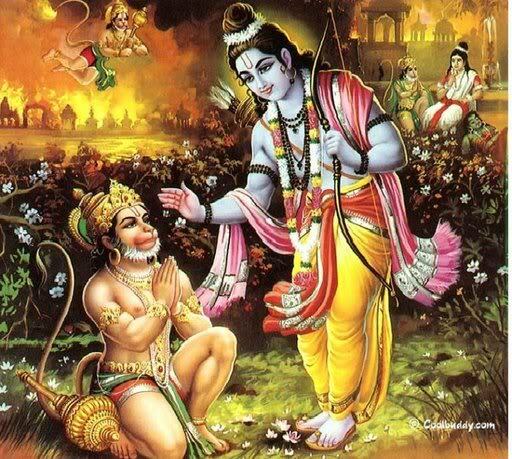 So when I sing in praise of Hanuman, I am really just signifying to the Universe (or Source/God/Higher Self, etc. 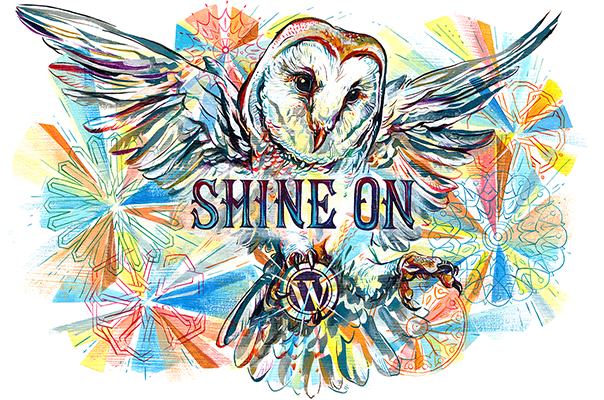 ), that I hold this ideal and feel so strongly about it that I will sing it into existence – sing so that it gets down to the core of me and awakens parts of me that are still sleeping. That deepest part of me which is pure love and devotion, beyond all ego. Who Wrote the Epics? Are They True? Actually, don’t think Yogi Berra really said that – but that don’t mean it ain’t true! These things all resonate on a far deeper level than the part of us that wants to know if they are true. But if you still want to know that, check out the Wikipedia articles! Why Are the Epics Important? The epics are important because they give us a really good idea of what life in ancient India was like, and the cultural milieu (environment) from which arose the teachings of yoga that we now know and love. As I said before, they were really eye and heart-opening reads for me when I was first getting into yoga, and they helped to inform my practice at a much deeper level. Now I saw myself as heir to this truly brilliant tradition that contained these fantastic moral-spiritual tales to drive home deeper lessons of life. Lessons of Karma and Bhakti Yoga – love, devotion, surrender, dharmic-living (righteousness), etc., to inspire us on the spiritual path. What was also fascinating to me was to understand that in this tradition, Hanuman is viewed as an incarnation of Shiva. Why is this important? Well, as we will see, Shiva is understood to be the gifter of the traditions of Tantra and Hatha Yoga to humanity. So when we practice yoga today, there is a sense in which we really do want to be aware of who Shiva and Hanuman are, because awareness of them will at the very least help to inform our yoga practice, right? Also, what this story is teaching us, too, is that even the gods serve one another. 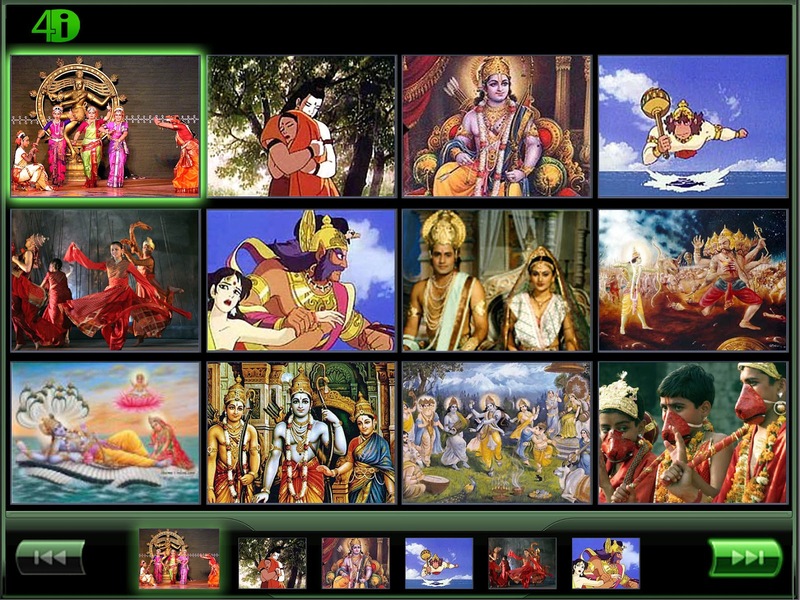 In this case, Shiva (as Hanuman), serves Vishnu (Rama) and Lakshmi (Sita). This is to help us get beyond sectarian differences. This was all brought home to me even more as I early on connected with two teachers who were said to be incarnations of Hanuman – Neem Karoli Baba, and Dhyanyogi Madhusudhandasji. In this tradition, it is indeed possible for a great teacher to be an Avatar (incarnation) of a great being from the past, like Hanuman, Krishna, Rama, Sita, Shiva…But more on this in the advanced course! What Are Some of the Essential Teachings of these Works? It might also be helpful to keep in mind when we’re reading epic tales like these – whether Hindu, Homer, or Hobbit J — that we ourselves are the hero of the story. The story is our journey. Their quest is our Quest! ~ The Mahabharata and the Ramayana are the two great Hindu Epics – ancient compendiums of legend, lore, law, and love that are windows into the soul of India and its greatest gift to humanity, the yoga tradition. ~ The ancient, original name for Hinduism is “Sanatana Dharma,” meaning something like “Eternal Righteousness,” or “Universal Religion.” The Epics reflect this deep wisdom about life and humanity’s place in the Cosmos, as well as how to live righteously in the world, whether one is a renunciate (yogi) or a householder (with family). ~ The Mahabharata essentially relates the epic struggle and eventual war between two sides of the same family, the Pandavas and the Kauravas. The greatest gem of the Mahabharata is the Bhagavad Gita, Krishna’s counsel to Arjuna in time of war, in which Krishna divulges the deeper and secret teachings of yoga to his eager and faithful student. 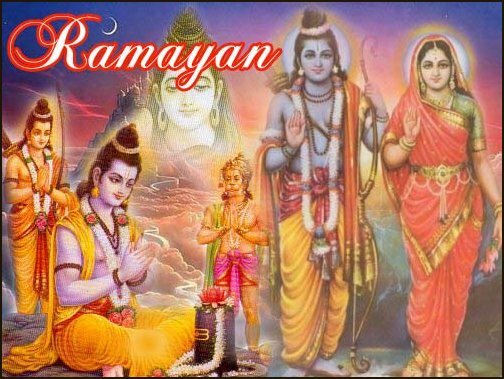 ~ The Ramayana essentially relates the story of how Rama saves his wife and queen, Sita, from the hands of the demon king, Ravanna, enlisting the help of Hanuman and his monkey army to do so. In the process, the story teaches the true meaning of Bhakti, the yoga of love and devotion. 1) Hanuman is often called “the monkey god,” but who was he really? 2) In the Ramayana, __________ is abducted by the demon king, Ravanna. Her husband ________ enlists the help of ___________ to get her back. 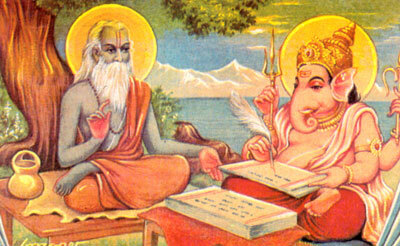 3) The most well-known and studied section of the Mahabharata is called _______________ . Why? 5)In your own words, why should we care about mythological stories – aren’t they just, well, myths? Sita Sings the Blues – a must see!